MILWAUKEE, March 19, 2018 /PRNewswire/ -- A. O. Smith Corporation (NYSE: AOS) today announced that D. Samuel Karge has been named president of the newly created North America water treatment business unit. "Sam brings a wealth of global experience in the water treatment and residential water filtration industries to A. O. Smith," President and Chief Operating Officer Kevin J. Wheeler said in making the announcement. "He is widely known and respected by customers, water associations, and other companies in the industry." Karge joins A. O. Smith after serving as vice president-sales and marketing for Zurn Industries of Milwaukee, part of the Rexnord Water Management Platform. While at Zurn, he led a number of strategic initiatives including a revamp of the company's marketing function, the development of a National Owners Accounts team focused on large, national customers, and the launch of critical new products in the commercial channel. From 2008 until 2016, Karge worked at Pentair Residential Filtration of Milwaukee, holding positions in platform management and marketing management. As vice president and platform leader of the Residential Filtration Platform, he was responsible for the business unit's engineering, finance, global sales, marketing, product management and quality functions. Prior to that, he held the positions of vice president-global marketing and director of global marketing and product management. He was a member of the Board of Directors of the Water Quality Association from 2007 until 2016 and served as the association president during the 2014-2015 term. He also chaired the association's Government Relations Committee and the Convention Committee. Karge received the Water Quality Association's Hall of Fame Award in 2017, the highest award presented by the organization. 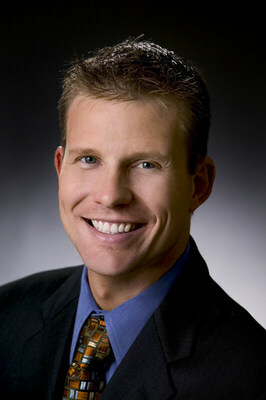 He also is a 2009 recipient of a Key Award from the WQA.